Mick Creedon QPM takes over the position as Chair of Atmaana’s Emergency Services and Security Division with immediate effect. This comes following the announcement that the Prime Minister has appointed Peter Maddison QPM as Chair of the Armed Forces’ Pay Review Body. Peter served as Chair from 2012, providing strategic and operational direction to the business. 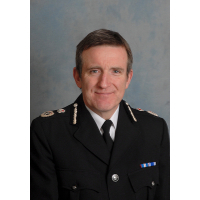 Mick Creedon, recently retired after 37 years in policing, the last 10 of which were as the Chief Constable in Derbyshire. He was the national policing lead for matters such as serious and organised crime, investigative interviewing, financial investigation and asset recovery and was the policing lead for the development of the network of multi-force and multi-agency Regional Organised Crime Units. He served as a detective at every level in the service and has extensive experience of homicide investigations, of corruption and serious and organised crime work and has carried out many sensitive and high profile external inquiries on behalf of other forces and agencies. Atmaana is an internationally recognised consultancy working across the defence, security and emergency services sectors.